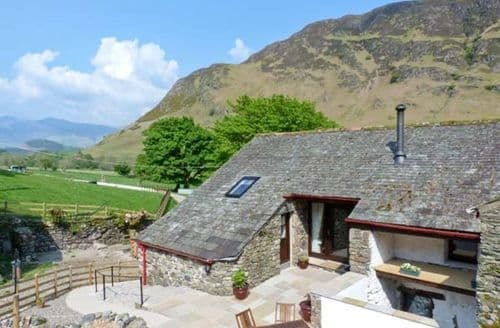 What our customers are saying about our Holiday Cottages In Newlands To Rent. "I took my son and dog here on the 2nd May Bank Holiday and had a wonderful time. We love camping in the summer but this allowed us to have a similar experience but with added luxury. These pods are immaculately clean and kitted out to a very high standard. We cooked breakfast, lunch and dinner either on the outside BBQ or on the two burner hob. Having a fridge was amazing too as we could stock up and keep everything cool. The bed was super cosy and the shower had amazing water pressure too.In terms of the location I cannot rave enough. You are on a small working farm but safely tucked away so perfect for small children too. The family who own these two pods have set up a trampoline, swings and have a shed full of toys, chairs, etc to make the stay for children even more fun.The owners of this place cannot do enough for you and even encouraged the children to help with feeding the lambs which was a great experience even for my 11 year old. They provided wood to burn on the outside fire pit at a very reasonable price and it was great to have a roaring fire as the sun went down and to toast marshmallows. 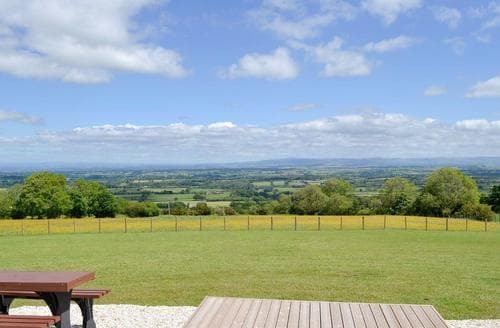 The view from the pods is lovely too.The location of the farm was very easy to find and we were just on the edge of the national park which was beautiful to drive through. This place is excellent for exploring the more northern (and blissfully more quiet) Lakes like Bassenthwaite. Really nice for the grown ups too as there is a nearby distillery ;o)We'll definitely go back .... and I dont often say that!" "Fell Hill Pods are more than your standard Pods. 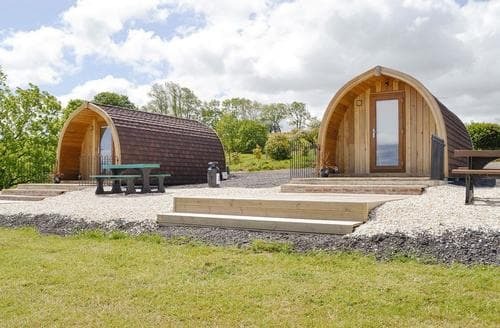 There are two pods at Fell Hill Pods, which sit in a peaceful location atop the hill overlooking miles of beautiful landscape. The pods are finished to a high standard and are equipped with everything you could possibly need for your stay. A comfortable double bed, an en-suite bathroom, kitchenette with a two-ring hob, microwave and mini-fridge. There’s also a television in the living area, and central heating. The pods felt very new and clean, with attention to detail and comforts. Kathleen welcomed us as we arrived and showed us to our Pod. Kathleen was very helpful and welcoming, and while we knew she was just a phone call away if we needed anything, Kathleen left us to ourselves to enjoy a lovely break away. With the a handful of lakes just a 20-30 minute drive away we enjoyed the quiet country road drives to both Ullswater and Derwent Water and the lovely town of Keswick while we were there, as well as a nice lazy day back at the Farm. Being just the right distance away meant that we enjoyed complete peace and quiet, free of the tourism of the lakes, but close enough to be tourists when we felt like it. All in all, we had a wonderful time and have recommended to friends and family and we are already planning in our next stay! Thank you Kathleen for your wonderful hospitality and lovely Pods." "To Fiona and John apologies for this belated review of S12534 in Braithwaite from John, Celia and family who visited in early November last year. 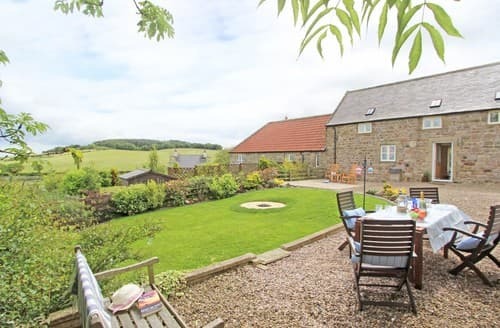 S12534 is a tremendous holiday cottage displaying all the attributes any guest could possibly wish for. From the welcome on day one to the time of our departure our seven day stay was a wonderful experience. Fiona and John were perfect hosts and nothing was too much trouble. Together with our black labrador pup Cole we all loved the isolation of the location and our many local walks (even in the rain) were thoroughly enjoyed. 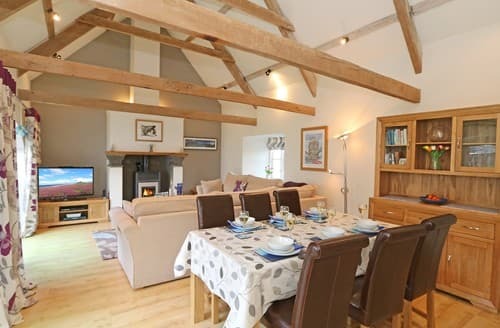 It is a perfect venue to use as a base to tour the Northern Lakes and nearby Keswick is an excellent lakeland town. The week we visited the weather was extremely wet and it was not too long after we left the serious flooding in the area started to occur. 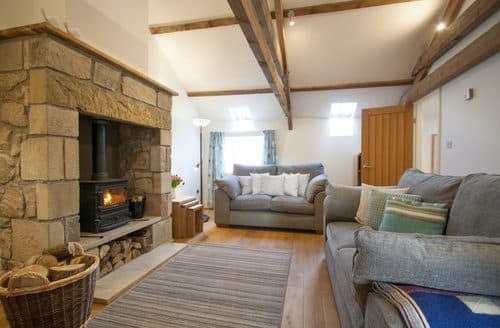 This meant we did spend more time in the cottage than we had planned but because the cottage is so lovely and cosy this extra time spent indoors was not the slightest problem. The two bedrooms with their own en suites with the living area in between is quite near to perfection. My wife totally loved the layout and would have been happy to have stayed longer. Would we recommend S12534 to a friend - Yes we most certainly would." "From the moment we arrived all was perfect. The location is stunning and far enough 'out of the way' to be wonderfully quiet. But close enough to village shop and further afield to not feel cut off. Walks from your back door and the hills all around. Excellent hosts on a working farm. 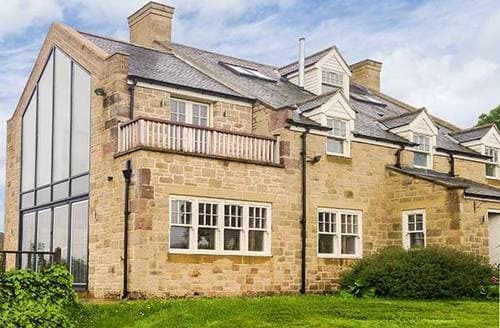 The property is 5 star and equipped to a very high standard.. 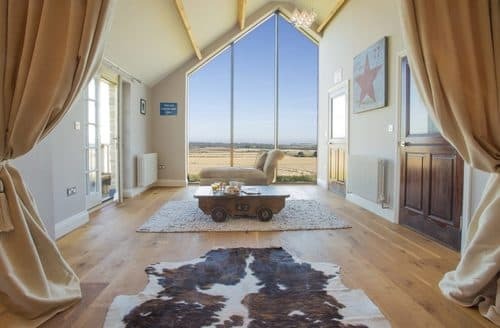 There is a log burner to die for, with plenty of fuel, along with oil central heating. A spacious & homely environment. Both bedrooms have roomy en suite bathrooms, and great showers. The lighting within the open plan can be dimmed throughout, this we found to be a pleasant touch. The building is full of character but tastefully renovated with a crisp modern feel. Laminate flooring and carpeted bedrooms. Plenty of books, dvd's, games with guides and maps to allow you to explore or relax. Views from the windows are awesome. See attached photo's. A positively great experience. Cockermouth a few miles further North, offers a good deal too, well worth a look for shopping. Thank you Fiona and John."